Dive bars are some of my absolute favorite places to hang. They’re usually a little funky, a little dark, and filled with people who are just a little off-kilter. Just my type. 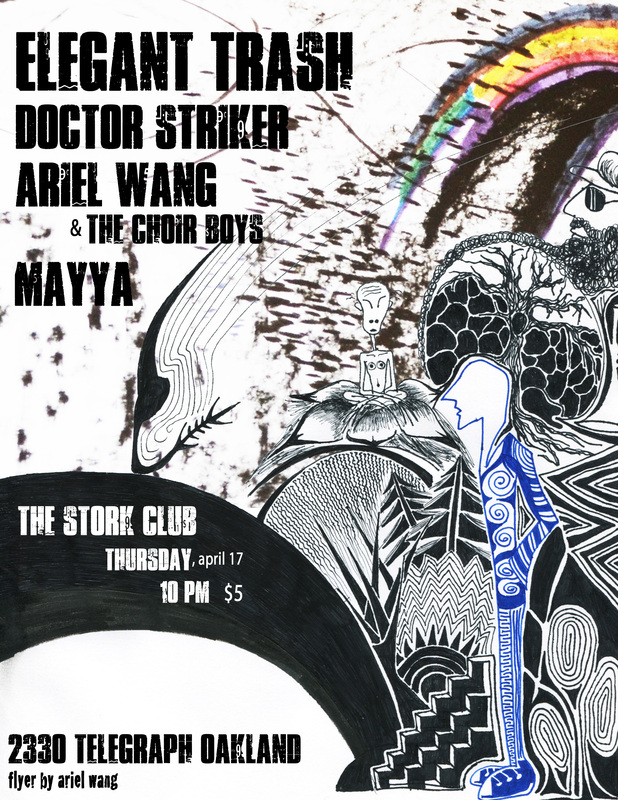 So you can understand why I’m incredibly stoked to be playing at one of my favorite dives in Oakland, the Stork Club, one of those venues/bars where moms and dads remember going on dates and seeing (depending on age of said moms and dads) a good country show or screamers. Come hang and check out an awesome strange little wonderland! This entry was posted on April 15, 2014 by sakurakofournier. It was filed under Uncategorized .